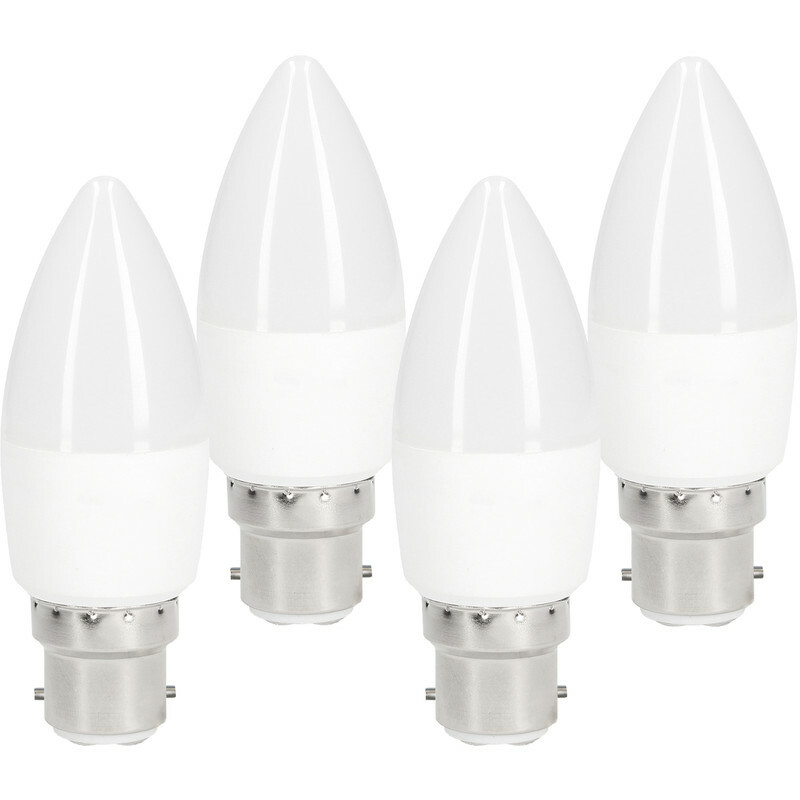 LED Frosted Candle Lamp 5.5W BC 470lm (4 Pack) is rated 4.8 out of 5 by 4. Rated 5 out of 5 by ball locks from good lights best and cheapest LEDs ive bought so far,very good! Rated 5 out of 5 by Roseanne from Good bulbs work well Bought these to replace outdated bulbs. They are bright and effective and have made a big improvement to our dining area. Rated 4 out of 5 by Anonymous from Good product if they had been the right ones Good website and delivery. Four boxes bulbs delivered. 3 bayonet fitting and one box inexplicably small screw type? The later won’t fit anything in my home. Overall though would try them again!